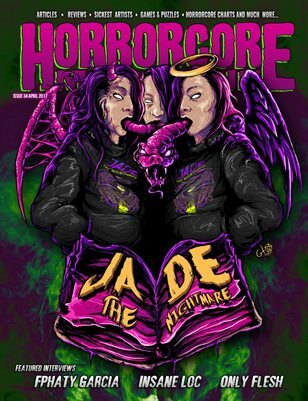 Horrorcore Magazine goes beyond just the scene of Horrorcore and Underground Music, It represents the Whole Horrorcore scene and it’s unseen talent! Whether the subject is music, TV, movies or Politics—over 120,000 young Americans trust and turn to Horrorcore Magazine every two months to keep them up on the subjects they care about most. Bold stories. Big interviews. Insightful commentary. All delivered with energy, passion, irreverence and a point of view that defines its audience. We offer a highly graphical magazine with no boring moments we strive to please our readers and are growing because of it everyday. What makes us different from the rest of the Underground Music Magazine, Horror Magazines and any old other Music magazine you ask? Our Demographics include a range of Unique Individuals that Love Horror and Hip Hop, some being Gothic, Emo, Average or Unique. Regardless of our audience every one of our readers and followers are one of the most loyal fan bases to Music and Merchandise you will ever see in the industry. Horrorcore Fans love nothing more than just that HORROR and it’s related masterpieces surrounding it. We currently have thousands of verified subscribers for our first issue as of Today. We distribute the magazine in print and digital format every 2 months and have varieties of articles and topics like… government conspiracy, tattoos, horror movies and books, horror drawings, latest underground clothing and more. We have a very large variety of a closely targeted audience with a Strong Following and Understanding for a unique lifestyle based around Creativity and Originality. 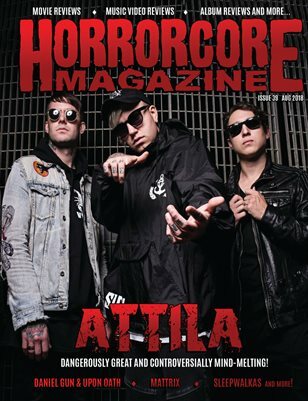 Our magazine Offers an excellent Fan Base with an Extreme appetite to Purchase Horror related and Unique items and Merchandise. We can place your ad closest to its relevance so that it will peak just the right interest and persuade Readers to Purchase your Merchandise and Give you New Customers and Loyal Followers. 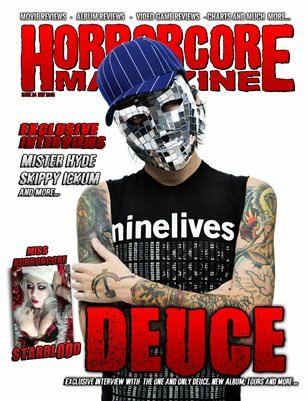 Horrorcore Magazine Offers a Large Variety Of Prime Spots available and placed individually for you in just the right location. Not only can we help your business and Merchandise Sell but we can also make the advertisement for you if you do not have one. We offer a Friendly hassle-free advertising process and are the only company that actually takes our time to make sure your advertisements get seen.